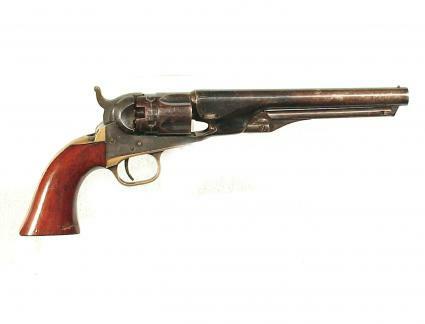 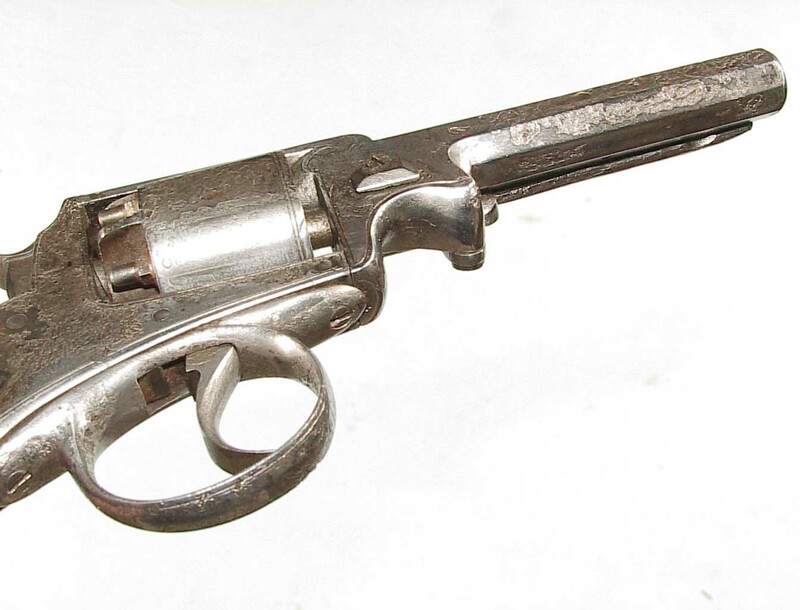 Monty Whitley, Inc. | RARE WEBLEY “WEDGE FRAME” PERCUSSION REVOLVER. 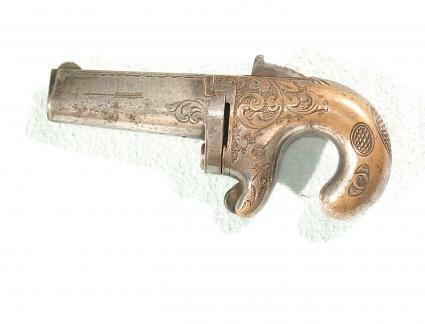 Home / Handguns-Antique / RARE WEBLEY “WEDGE FRAME” PERCUSSION REVOLVER. 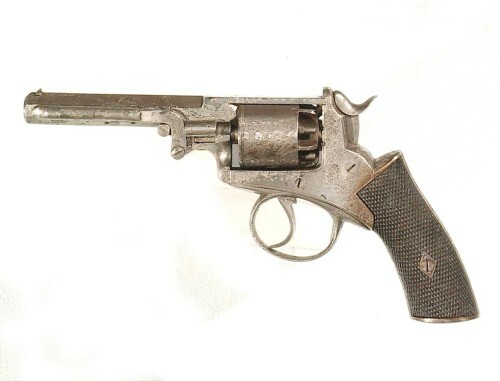 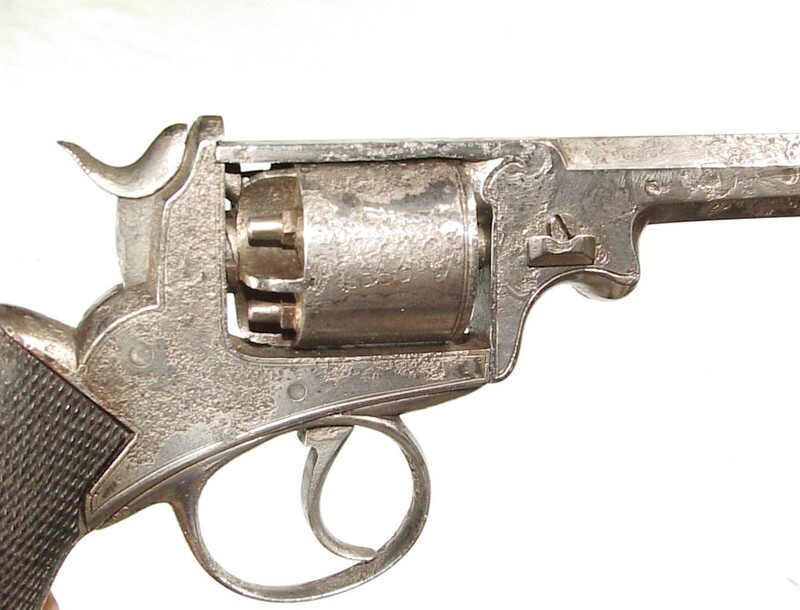 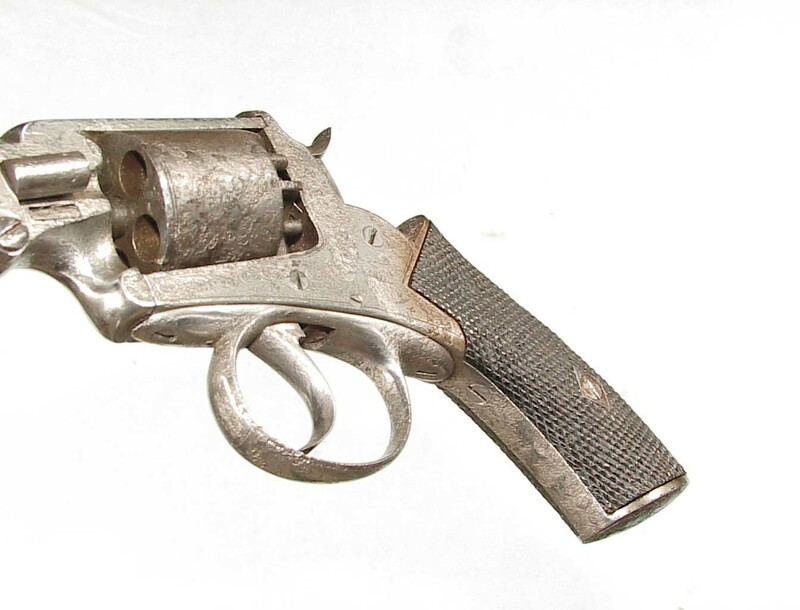 RARE WEBLEY “WEDGE FRAME” PERCUSSION REVOLVER. 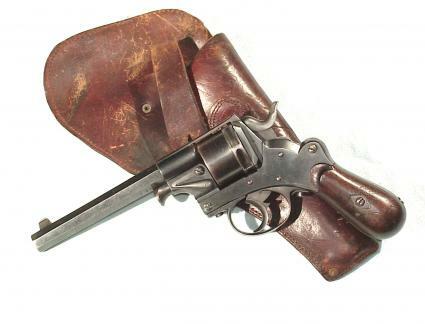 .36 caliber, 4″ barrel, 5 shot cylinder with the top of the frame strap signed “H.W. 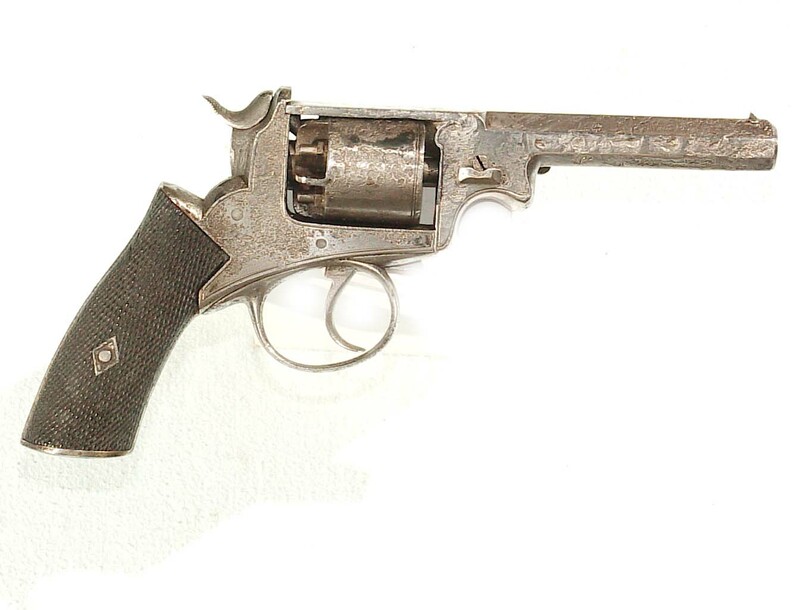 MILLARD, CORK”. 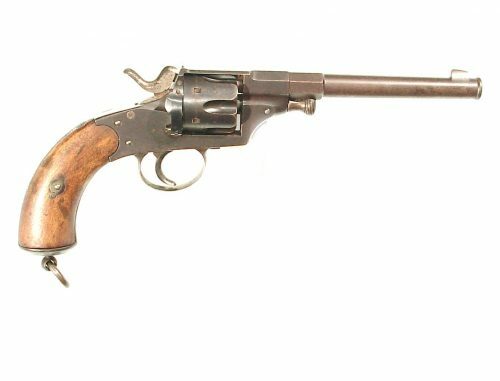 Very scarce variation mfg between 1857-59, In excellent working condition showing some areas of pitting but nice visible stampings an mechanically excellent. 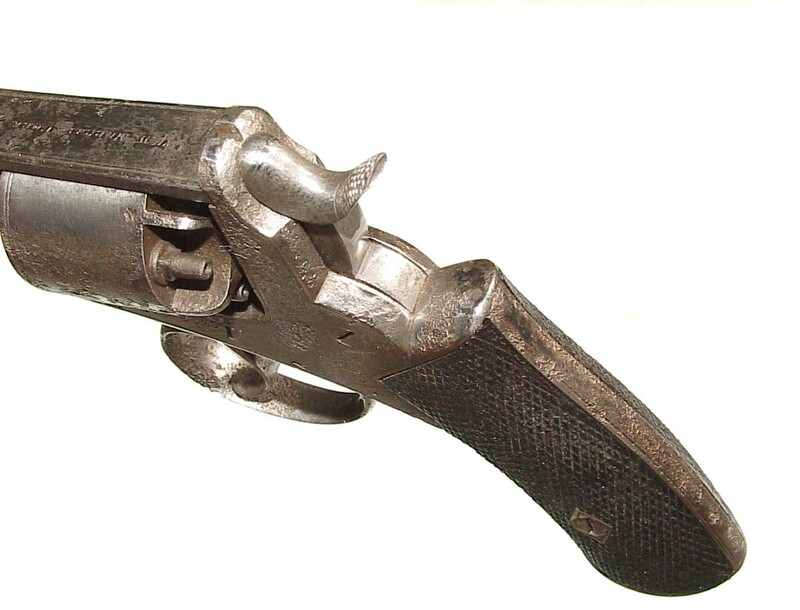 Good bore. 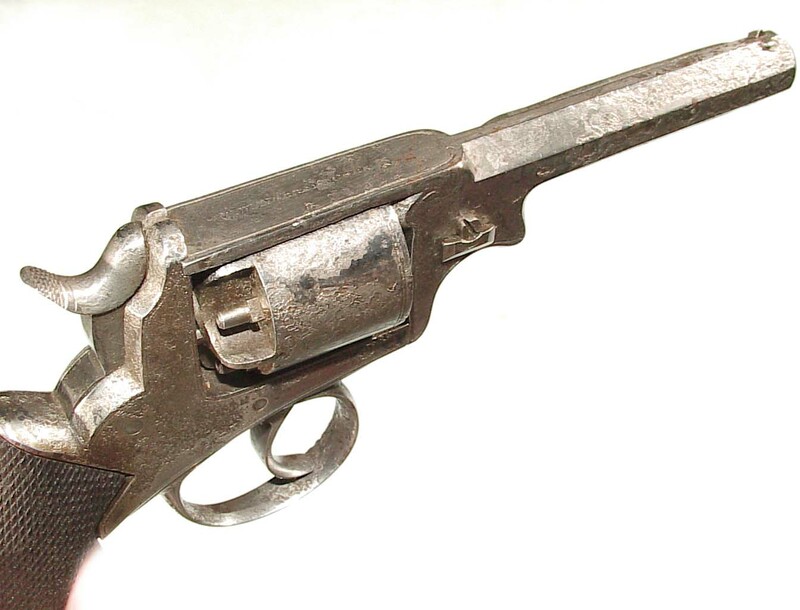 The grips have sharp checkering.